Welcome to the our Barcelona shop at Soccer Box. The Barcelona football kit are one of the best selling football shirts in the world and you can get yours here now. At Soccer Box you can order the latest home and away football jerseys, as well as the brand new training shirts range and a selection of accessories for fans of all ages. Do you support Barcelona? You are in luck. Soccer Box is your ultimate guide to Barca jerseys and merchandise. Our product range includes football jerseys, shirts, shorts, socks and training kit. Whether you want the Lionel Messi shirt or a Barcelona kids kit, we offer something for Barcelona’s diehard supporters. This is a one-stop shop for every Barcelona purchase. The football jerseys and kits are the most popular of the team’s merchandise but if you are looking for a novelty souvenir or gift we stock one of the most extensive ranges available online. Immediate dispatch on all Barcelona football shirts and kits. Order yours now! 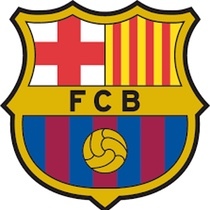 Barcelona is one of the best football team’s in the world; they play in the Spanish La Liga. Currently, they are officially ranked as the best team by UEFA and IFFHS, and the number of supporters adds weight to the argument. Barcelona is one of the most supported clubs in the world. The football jersey is sold not only in Spain, or Europe but also around the world. The team's shirts and kits can be spotted worn by fans in all corners of the globe! Nike is the manufacturer of the Barcelona jerseys. Recent statistics reveal that around 1.15m football jerseys are sold each season, making them one of the best selling kits in the world. Nike has manufactured the Barcelona football shirt since 1998 in a deal that is currently worth £27m per year, and will run until at least 2018. Nike supplies the Barca kit, training kits and associated accessories to the team and retailers around the globe. Soccer Box is a licensed Nike retailer; you are shopping for official team merchandise when you order the shirt and jerseys online at Soccer Box. The Barcelona home kit are the most popular of the team’s shirts. The home shirt featuring the iconic red and blue stripes is synonymous with the clubs success. Barcelona has won La Liga 24 times, recently winning in 2015/16 season and the Copa del Rey 28 times with their latest win also in 2015/16, ensuring their notoriety for success in Spain. However, European glory has also been rampant winning the UEFA Champions League 4 times. In 2009 and 2011 Barcelona won the FIFA Club World Cup ensuring their football shirts were popular around the world. When you visit our Barcelona shop for your Barcelona football kit at Soccer Box you can choose to add a name and number to the back of your shirt in official lettering. Lettering is available on the home and away shirts and kits. Whether you are visiting our shop for a baby, youth or adult product you are sure to find Barcelona shirts, kits and accessories at Soccer Box. We stock football jerseys for hundred’s of teams around the world, including national and club teams from Soccer Box. Whichever team you support we have a shirt or merchandise at Soccer Box for you. Order your Barcelona football shirts using the secure online shopping cart or call our customer service number now!